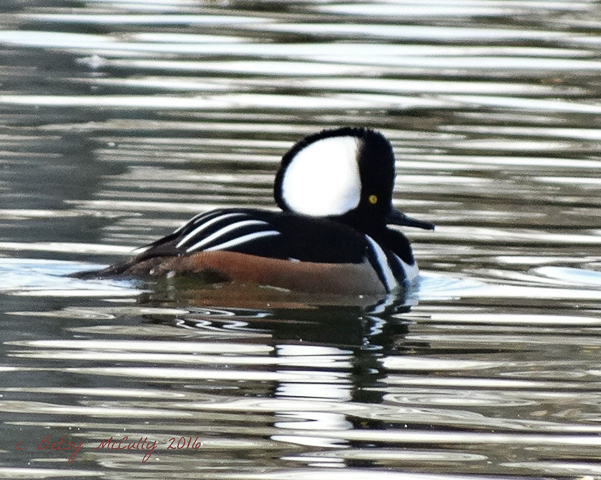 Hooded Merganser (Lophodytes cucullatus). Camman’s Pond, Long Island. Coastal ponds and bays in winter. Winter visitor.